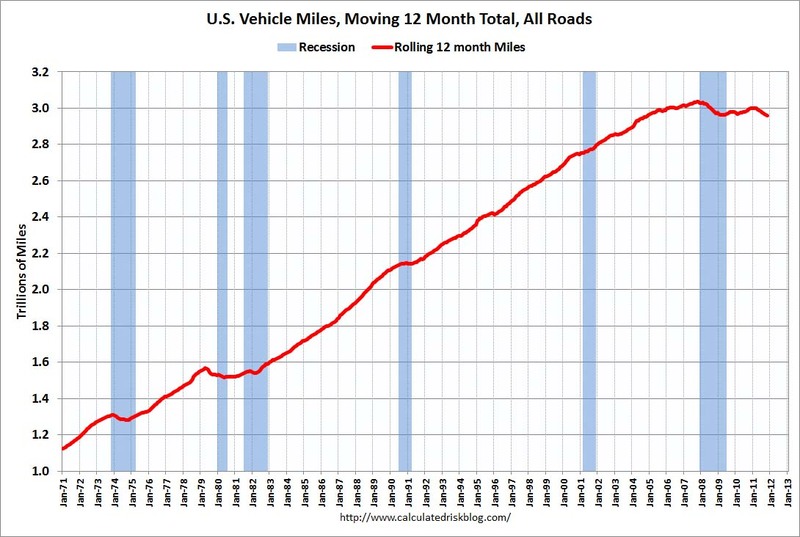 • Travel on all roads and streets changed by -0.9% (-2.1 billion vehicle miles) for November 2011 as compared with November 2010. • Travel for the month is estimated to be 240.9 billion vehicle miles. 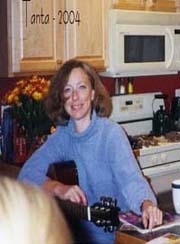 • Cumulative Travel for 2011 changed by -1.4% (-38.3 billion vehicle miles). 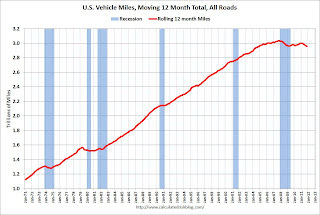 Currently miles driven has been below the previous peak for 48 months - and still counting! And not just moving sideways ... the rolling 12 month total is still declining. 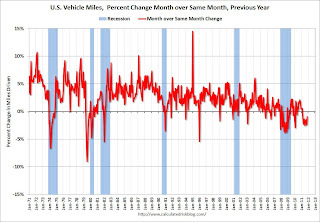 This is the ninth straight month with a year-over-year decline in miles driven, although this is the smallest decline for 2011. 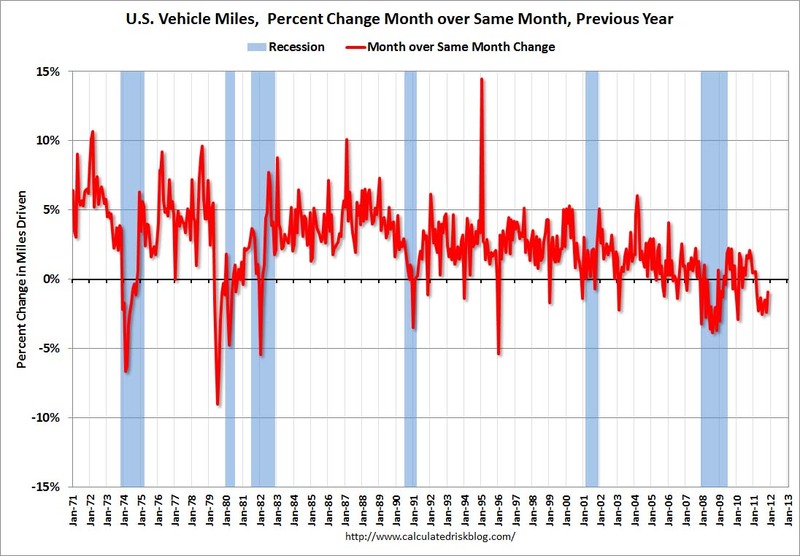 The decline in miles driven is probably due to a combination of high gasoline prices, a sluggish economy and some changes in driving habits.